Ireland has always been a dream of mine to visit someday so I was thrilled to finally knock it off the bucket list and to do it in style! 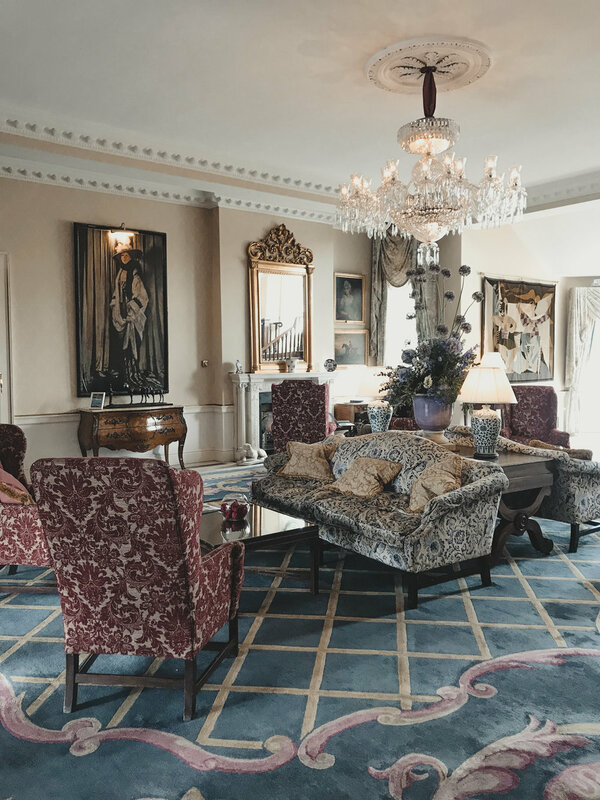 I was fortunate enough to explore some of the top 5 star hotels throughout Ireland. 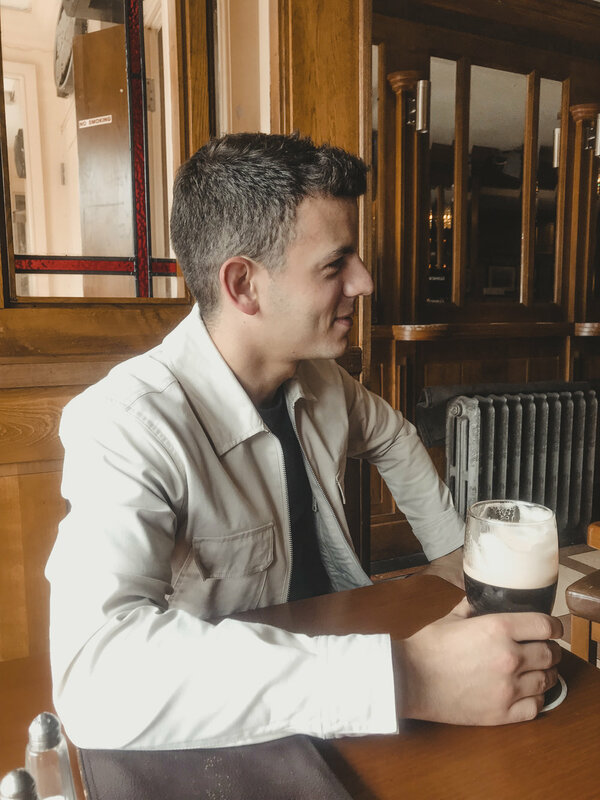 I didn't want to stay in one city or county, I felt I needed to travel and explore everything Ireland had to offer. I realized Ireland wa a lot like California, but when we are not suffering in a drought. Everywhere I looked there were green Lucious hills, with horses everywhere and castle ruins all over the place. I truly loved Ireland and would recommend anyone to visit. There is surprisingly a lot to see, and I only had so much time to do it all! Here is a little recap of each hotel I had the honor of staying at and some of my favorite actives I did at each location or in town close by. To me, luxury doesn't always have to mean expensive. You can live a luxurious life on a budget, or better yet, you can experience something super expensive, but at a good rate. Then you will really be living like a King or Queen. 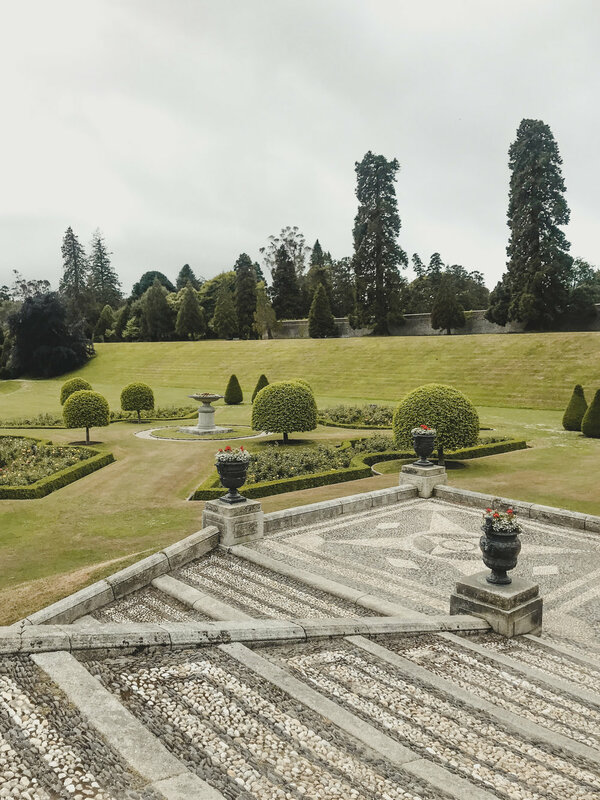 For a 5 star hotel, the price for a room at Powerscourt will blow your socks off before it blows your budget. It was one of my favorite places we stayed at while in Ireland and it was a pretty reasonable rate. It does help that they have deals for AAA, Senior Citizens, etc. Who doesn't like getting a good deal on a beautiful hotel?! The rooms were big with a large bathroom and every woman dream closet (no joke it was the size of my bedroom at home! ), there is a pub on site and you can get a ride into a quaint town for a quick bite, the hotel buffet food was delicious, but the best part were the people who worked there. They were so helpful, knowledgable, gave great advice on sites to see and were great company too. I enjoyed sitting by the bar and talking to everyone, but really I enjoyed everything they recommended. We completely rearranged our itinerary based off of what the concierge recommended, and to be honest, I am so grateful that we did! He knew all the best places, all the right times to visit, and every restaurant where all the locals went- so you knew it was good! 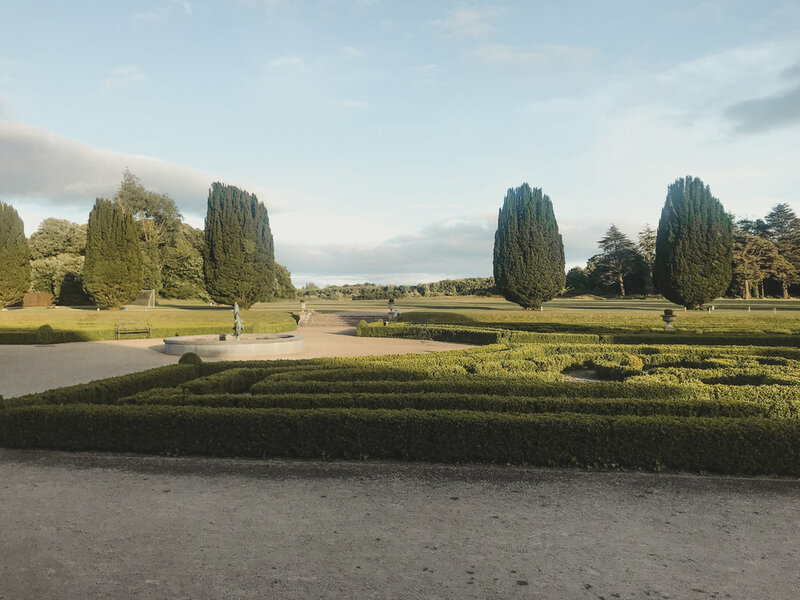 Based off of recommendations alone, we stayed around Powerscourt and saw the estates, the waterfall, Wicklow Way, and Bray Head. Everything as luscious green and mad me realize how horrible California drought really is. Even the shoreline of Bray was even more breathtaking to me than what I see in Santa Cruz, but still reminded me a lot of home. Honestly, almost all of Ireland reminded me of home, except for the city structures and the green, but the mountains and shores have a lot of similarities. On our last morning at this perfect hotel, we decided to take a bike ride around the grounds and then take a lovely stroll through the gardens. You could easily spend an entire day on this property and still not have enough time to explore everything.... but I have a feeling I'll be saying that. a lot more as I continue to write about each resort. 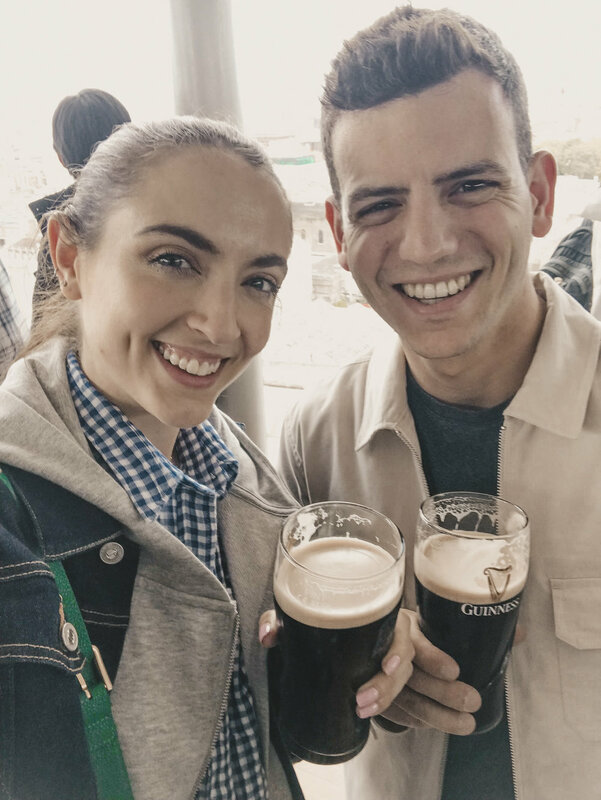 If I'm being honest, which I always will be, I never really thought Guinness was AMAZING. It taste like coffee which I do love, but its so thick! Basically it would be one beer and done because I'm too full to even try getting even a buzz off of another before my pant buttons pop off... Not worth it! Everyone has always said, Oh, but you have to drink it there, it tastes different". Maybe I was on a high from the experience and just wanting a pint, but it was pretty delicious! The museum itself was massive! It was one of the places you can take your kids and get drunk while they have fun playing. It's every mans dream father child adventure. It was pretty cool seeing how Guinness gets its dark thickness and delicious taste. It was the perfect place for my friend and I to meet. Remember my buddy Greg from my London adventure? Well, since he just move to London, I told him to come meet up on this trip! 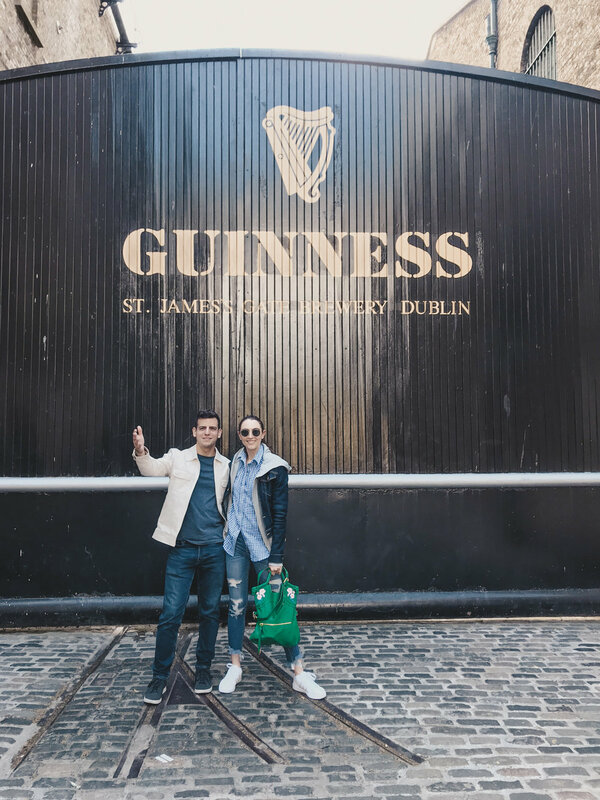 We maybe had too much fun running around causing trouble in Dublin, pub crawling and rolling out of every restaurant with stuff tummies that we walk into. He was the perfect partner in crime for this portion of the trip! After consuming delicious beer at Guinness, we stopped by a Pub called O'Connell for another pint. O'Connell is my Irish family name and no I did not google search for this pub, we literally just stumbled in, it was meant to be! Then we had the bright idea to relive our college days and go walk Trinity College with a buzz. Come on, don't lie to me, who hasn't gone to a college class drunk or hungover from the night before?! If you didn't, the did you really even go to college?! Truly, I felt more intelligent just walking on that campus, or it might have been the beer. Its a gorgeous campus, and truly worth checking out because of its famous historical library. It had that rusty smell of old books, and it was amazing to see how man old books were still bound and had not disintegrated yet. GO! It's worth it! The next little town over from where we were staying in Powers court was Avoca in Wicklow County. Avoca was so quaint, but really busy. Thankfully we were able to be seated for a fun healthy floral lunch. 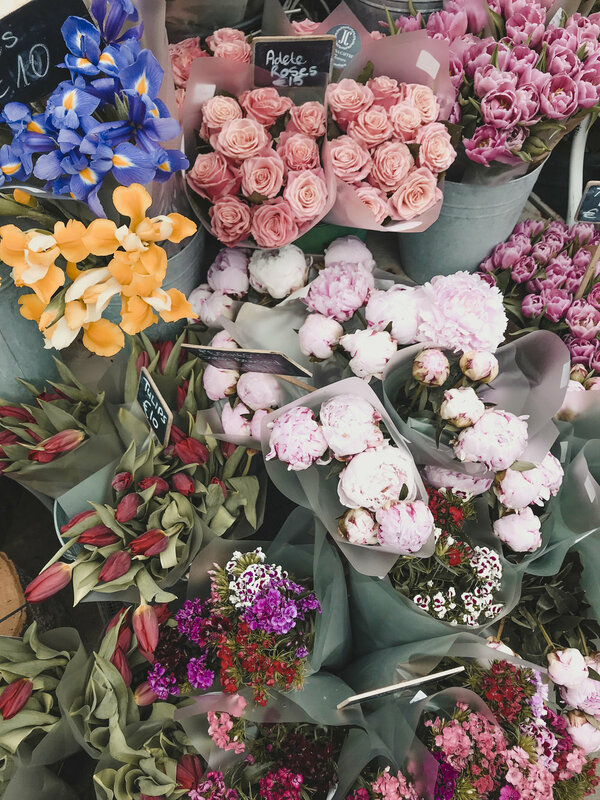 They are not only known for their flower gardens, but for their wool throws and healthy food market. This was my dream market, when I fantasize over a quaint UK country styled market, I dream of this. The store reminded me of Anthropologie's home department meets, a less hippie- more J. Crew like Whole Foods. If you find yourself along the country side of Dublin, in Powerscourt or Wicklow County, take yourself to Avoca, it was worth it. Sadly, I spent little to no time at the gorgeous Castlemartyr hotel. I wasn't there long enough to explore all of the grounds, because I spent most of my time exploring Cork County. This trip was to see where my family was from (Dublin & Cork), and the drive from Castlemartyr to Cork wasn't as quick as I had thought it would be. NONTHELESS, I throughouhly enough every moment at Castlemartyr. This unique modern hotel was built on top of what still remained of castle ruins. I thought that was a pretty clever idea, making this hotel a bit different from the other castle resort experience I will have on this trip. This hotel, like every other luxurious hotel in Ireland, if fully equipped with a beautiful spa, golf course, and horses everywhere. ( Also, side note: What is it with Ireland and having so many horses? Everyone has horses.). As you drive into the large gates, you follow the path of the golf course, leading you the the ruins of the castle, and as your turn left to the entrance of the hotel you see a large field with beautiful horses just relaxing in a meadow by a pond. So romantic!!! I was so thankful to have a room with a view of this meadow and horses, it was something straight out of Jane Austen's Pride & Prejudice. 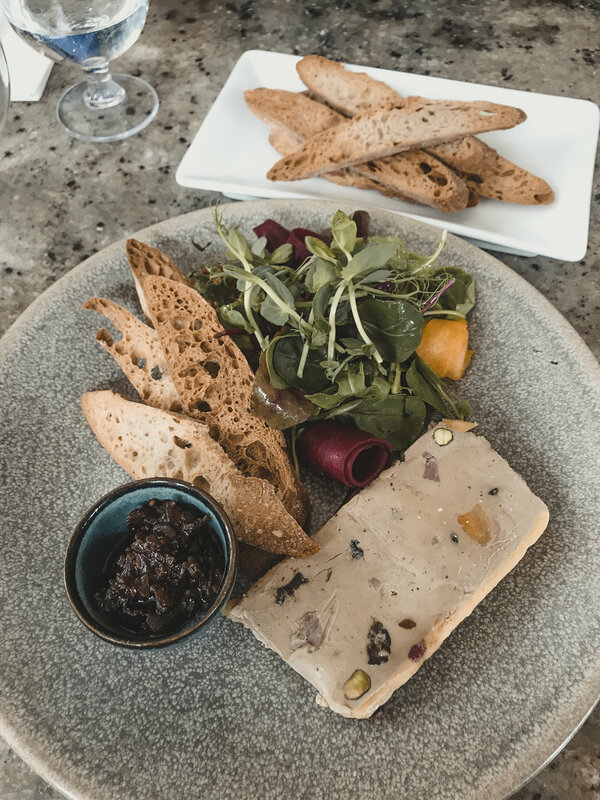 If you are staying at the castle, please be sure to have dinner at The Bell Tower and enjoy an after (or pre) dinner cocktail in the bar. Look up at the ceiling, the detail work is stunning. Don't bother, trust me! It's a tourist attraction, where you pay an excessive amount of money to stand in a 2 hour wait line to touch a tiny stone, and spend even more money as you exit through the gift shop. Didn't do it and not sad that I missed it because every single person I talked too who did do it, said it was worthless. I will say though, the grounds are beautiful and worth exploring, but if I'm being 100% more real with you, even the grounds aren't really worth it. Now, I stayed at castles, so I got the full luxurious experience. The truth is, if you're driving around Ireland, you will see castle ruins everywhere! When you've seen one, you literally have seen them all. As a big tourist attraction, I would say go visit the grounds and don't waist your time in line for the stupid stone. There is so much more beauty to see in Ireland, why waist your time to touch something a trillion people have touch... gross. 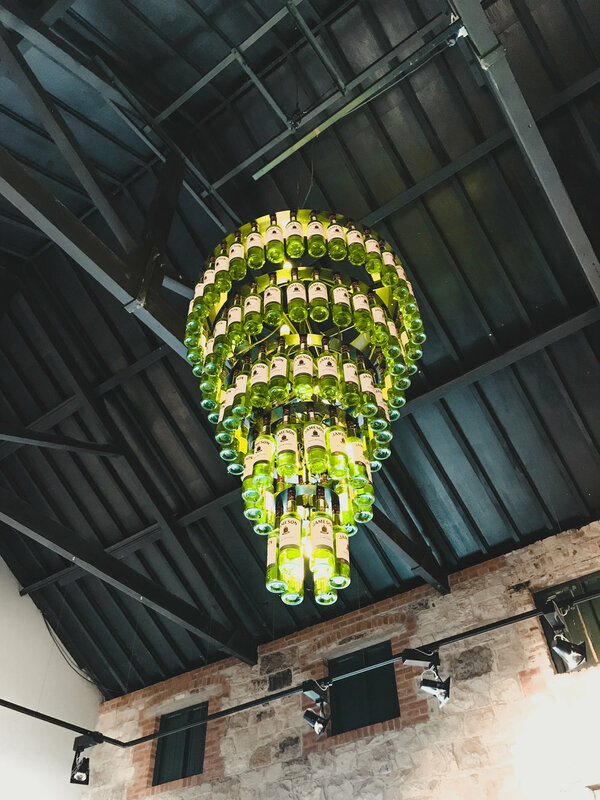 Now Jameson is where everyone needs to check out when visiting Cork, whether you drink or not. Just walking the property and hearing about all the history is enticing enough. I don't drink much at all anymore, but Jameson has always been a personal favorite. It's not too sweet or too harsh down my thought, it's perfect with an ice cube or even some ginger beer (Fever Tree is the only way to go). Plus is you a re a big drinker, you basically get free drinks and learn some history about a famous whiskey. Not too shabby. I honestly preferred this more than Guinness, probably because we had a guide (everyone gets a guided tour) AND we were at the original site. We got to see tools that were made in the late 1800's and still work! When I got the tickets online, I didn't realize that the GA came with a drink at the end (not sure why I didn't connect the dots that every ticket comes with a free drink) so I got the premium package. SO GLAD I MADE THE MISTAKE! We got to have a second title tasting experience, but with all their limited editions. Really expensive bottles of their finest whiskey and it was fun to taste each one. I don't know much about alcohol at all, lets be clear about that, all I know is what my tastebuds like and do not like. 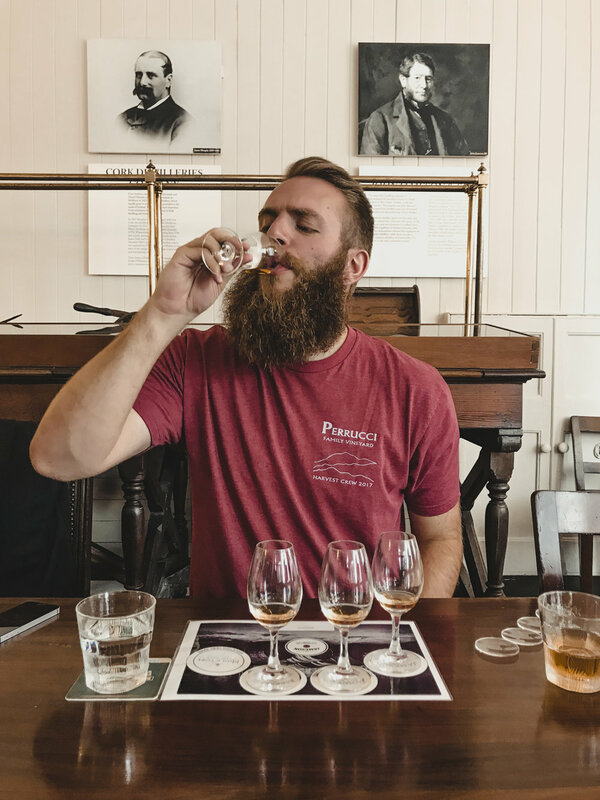 Some of these expensive whiskeys were too much for me, but it was worth trying them all! I'll stick to tequila and gin! WOW! TALK ABOUT PERFECTION! Ashford Castle is what one thinks of when they hear, luxurious! Save every dollar and cent you own, because this place is extremely expensive, but worth every penny! I don't even know where to start when trying to describe this place. 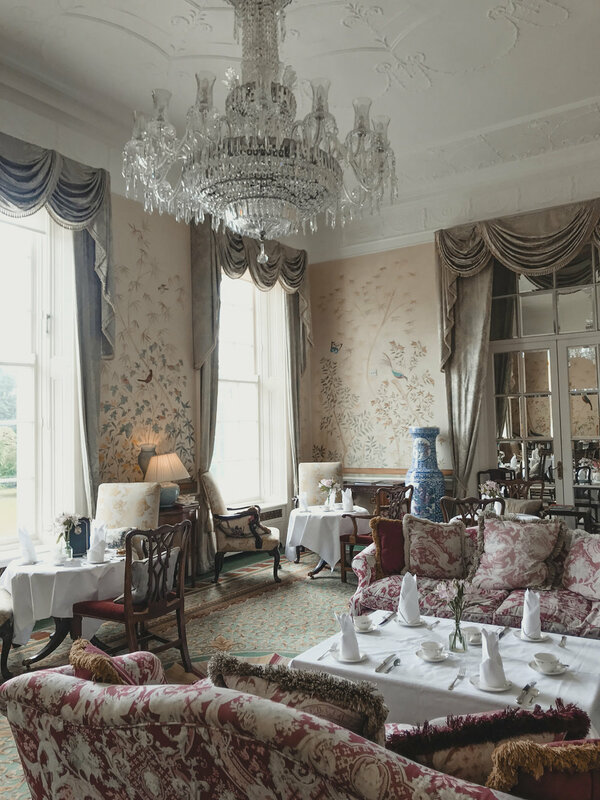 First off, this is ranked the 2nd best hotel to stay in the UK & Ireland, so that alone should be enough to prove how luxurious the experience really was. 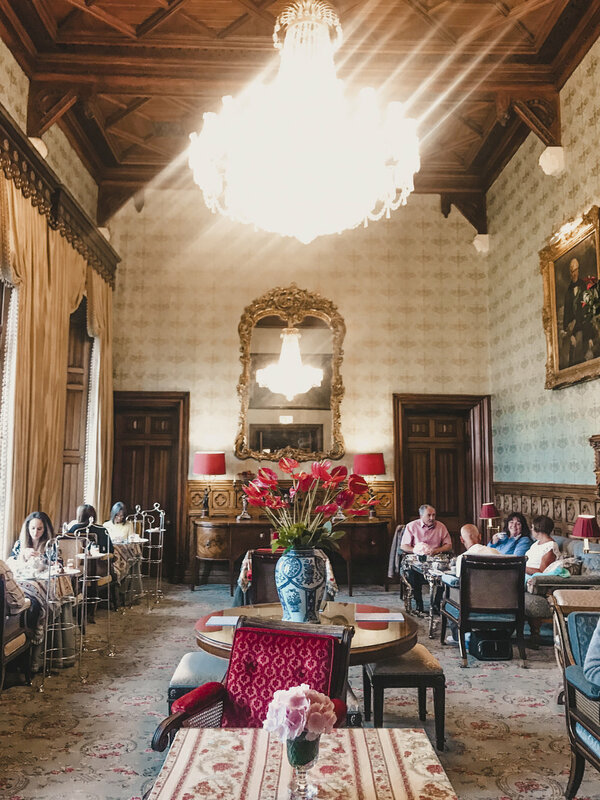 The castle is so well kept for being over 800 years old with all new modern technology in each room, and the grounds are stunning and well maintained. Every single detail was perfect! The decor, the food, the rooms, the grounds, the people who worked there, the activities, the views, IT'S JUST UNREAL! I mean the maids had the cute old fashion French maid outfits with the black dresses and the little white ruffled apron and hat. It was just super adorable and just seeing the maids outfits made me realize this place is not messing around. They truly do thrive on perfection here. There really is no need to leave the grounds once you are here, because they have thought of everything for youth or any age. They thought out activities for kids, big kids (me), adults, newlyweds, etc. The list of activities went on forever! I decided to do falconry because I had never done it before, and it's not something you hear of the often in America or in California at least. It was actually fascinating to see how intelligent these beautiful creatures are, and watching the hunt the meat in my glove was amazing. They would sit hit on a tree and just watch our guide at all times, they knew if I lifted my hand I was ready for them to land. I was a little nervous thinking these birds claws were going to hurt my arms, but no they were pretty graceful and gentle. When walking around I kept running into these two cute newlyweds from Texas, (future husband take notes because this was so romantic! ), Ashford Castle has set up a little romantic picnic for the two of them. I nearly died my heart exploded. The hotel set this up for them, how cute is that?! It really would be an ideal location to honeymoon at. It's romantic, elegant, memorable, and tucked away at a beautiful lake. It just seems so ideal for two new love birds. They really have thought about everything here at Ashford Castle. There are tons of activities for everyone from golfing to tennis, to a billiards room and cinema room, to a boat cruise on the lake, to horseback riding, cycling and kayaking, clay shooting and archery, to zip-lining and tree climbing (yes I'm. serious), etc. Plus, every meal is unbelievably delicious, hands down the best breakfast I have ever had in Europe. They had a large gluten free section and healthy pressed juice. Most of these 5 star hotels have been accommodating for gluten free people like myself, but this was the royal package. they studied up on the diet and had a wide variety of choices. It was very impressive and I was extremely grateful I could enjoy a meal without worrying I would have a reaction. Even during tea time they offer gluten free options. I was an idiot and said, "oh no, I will be fine", because I wanted to try their famous little tea sandwiches. It was 100% worth it, so delicious!! Waking up in the morning was my favorite, one because I felt like a pretty princess, and two because there were Irish Wolf Hounds hanging out in the castle lobby. Any place that has dogs to greet you first thing in the morning is A-OK in my book! This hotel is a 10/10, everything was perfect. I honestly, would need to get on my hands and knees to find any sort of imperfection. 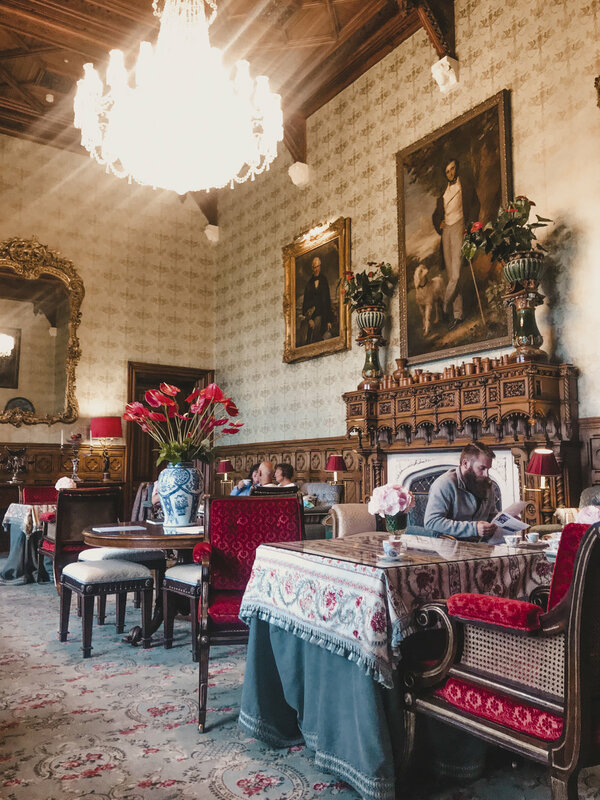 If you have the budget to experience Ashford Castle, do it, book it now and treat yourself to an amazing luxurious experience. My final 5 star experience on this adventure was at The K Club. I had a little bitter sweet experience here, maybe it was because I was so spoiled at Ashford Castle or because the reality of it is that it needed a few updates. This hotel is truly beautiful, with all its decor, art and its stunning location, but truly it needed a little polishing. It's 2018, when I think of 5 star I think of all the high tech upgrades and amenities. As beautiful as this location truly is, it didn't feel like a 5 star after my last experience. 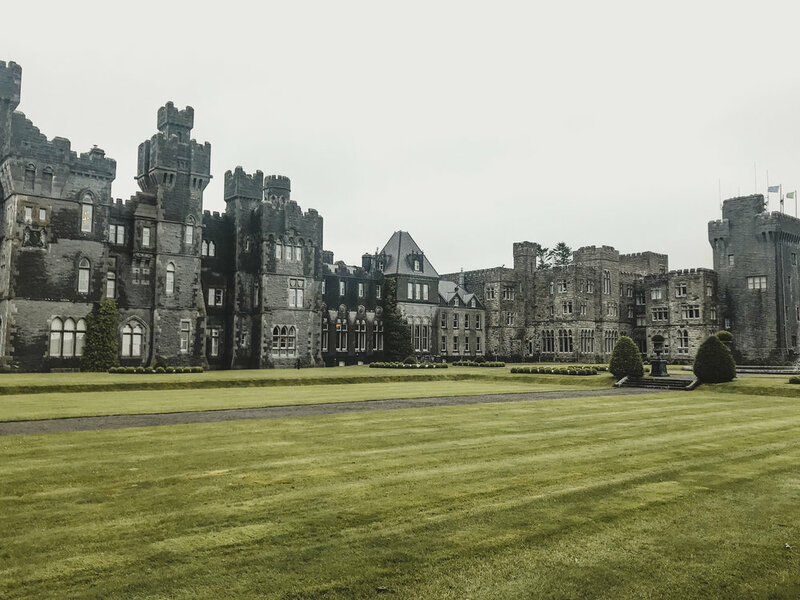 Maybe I should have saved Ashford Castle for last, but it was a total reality check after seeing all these other 5 stars. Ashford Castle is over 800 years old and it was more polished and well kept than The K Club. I mean, my bathroom door wouldn't even close. There is no way that would slide at Ashford Castle. They would have checked every last detail before letting the next guests check into the rooms. Plus, the castle and all the other hotels had the key in the wall feature that powers the room. The K Club felt more like a 4 star than a 5 star. They did have a lovely Thai restaurant in the back club house, but even at the restaurants (other than the Thai place), the menus needed an upgrade. 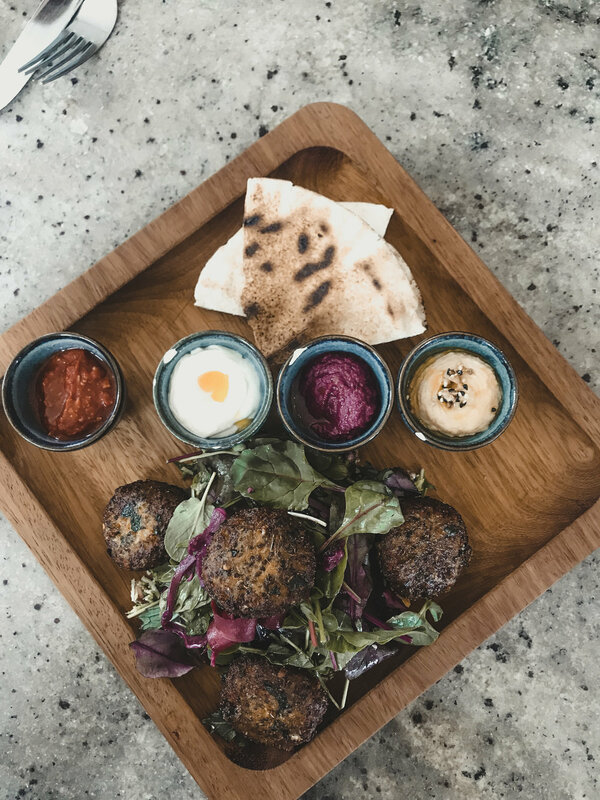 It was the same old dishes and the food wasn't all that exciting. Plus, in the morning for breakfast I was a bit disappointed. I was told they have a gluten free option, but there was one prepackaged store bought scones that was nasty. I mean nasty! It was nice of them to try, but try a little harder. After all, this is a 5 star hotel, they should accommodate all of their guests every way they possibly can especially for the price to stay there. 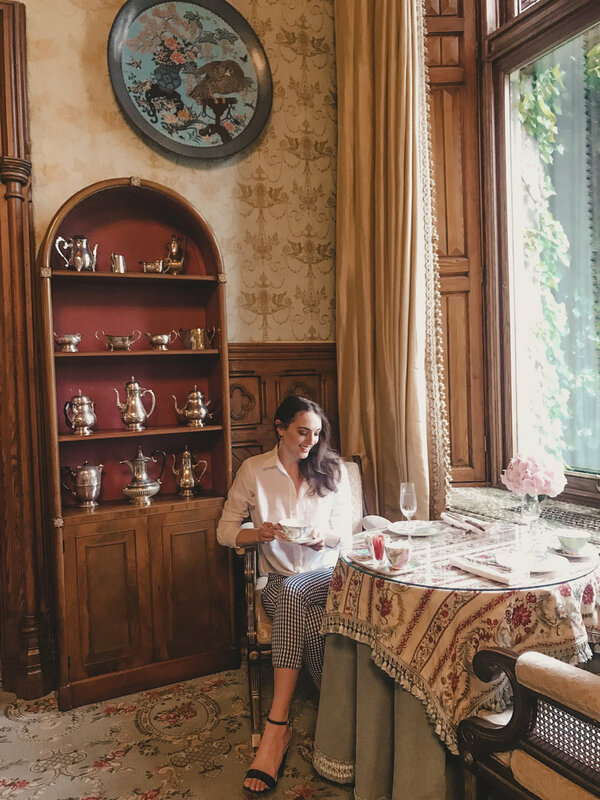 Of course, I had to schedule another tea time because when in Ireland or UK you have to have tea time. Do as the locals do is my favorite motto when traveling! I throughly enjoyed myself during tea time. The room was my dream room, I kid you not. Japanese wallpaper art and art decor with European vintage styled furniture. I was in heaven soaking in every detail on this room and every other room in this resort. I will say that the activities were fun. 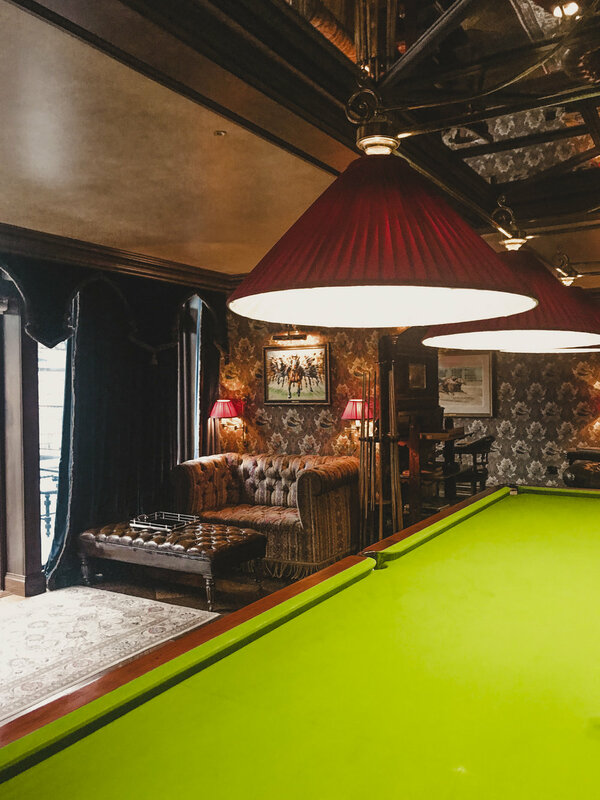 They were the same at most hotels such as golfing, horseback riding, and clay pigeon shooting, but nonetheless, still very fun. The property at The K Club is a lot larger than what you see at the resort. They have even more property off site, in town and more countryside area where you can do all these activities. So of course, I did horseback riding and clay pigeon shooting. 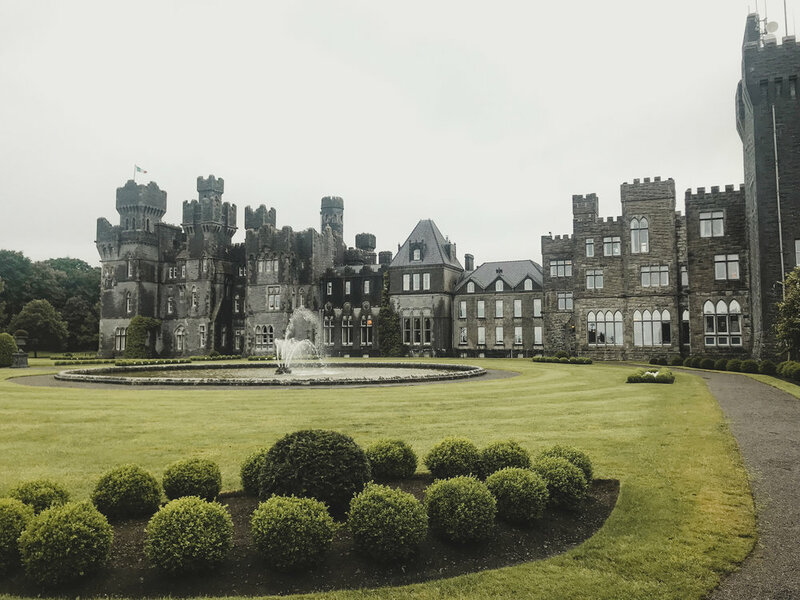 Aside from being a spoiled brat after Ashford Castle and pointing out all the imperfections at The K Club, I would still recommend staying here. It's gorgeous, the people who work there are wonderful, and the Thai restaurant was delicious! It does emulate a type of person, a posh individual who strives for elegance and excellence. If you feel you are that type of person or want to feel like it than book yourself a stay at The K Club!